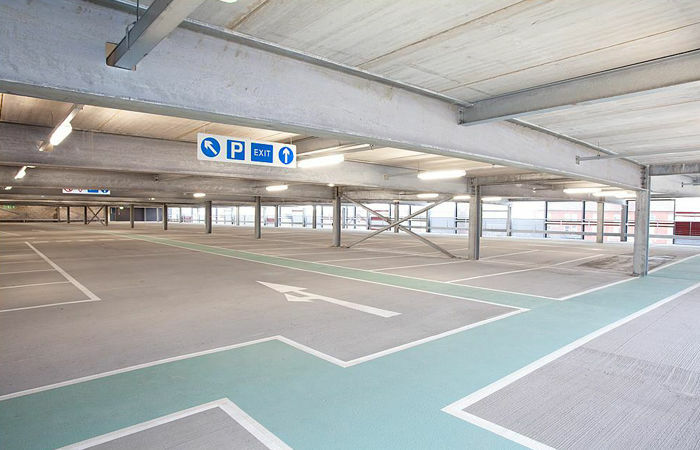 We regularly work on refurbishment or new build projects, find out more about our fully certified car park solutions. 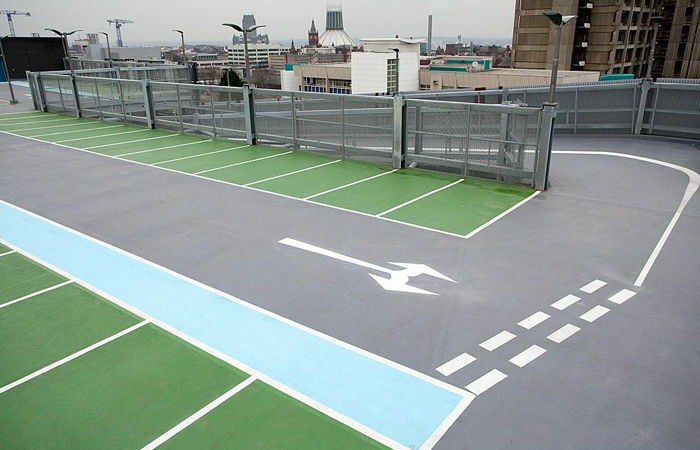 CPC provide fully certified flooring solutions for your car park, whether it’s a total resurface, waterproofing or dustproofing that you are looking for. Our materials are all certified to BS-EN 1504 standard and we offer the most comprehensive warranties on the market. We don’t just do car park flooring and bay markings, we do coatings for walls, ramps, beams and stairs within the site. These are all available in a wide range of colours to highlight bays, pedestrian walkways and hatched areas. CPC install fully elastomeric waterproofing systems, which is essential in multi storeys – particularly for the top deck. Where waterproofing systems are not absolutely necessary, our other systems are water resistant,protecting your flooring from oils, spillages and automotive fluids. We have a large fleet of the latest technology in diamond grinders, vacuums and scabblers to allow us to effectively prepare your flooring or to remove existing flooring ready for your new CPC system. Our Multi Storey Car Park service comes with a FREE initial assessment, expert advice and budget estimate, we also offer a FREE survey, report, specification and a more detailed estimate service.